In celebration of Cooler Master’s silver jubilee, the PC components firm decided to launch a new product to earmark the occasion. 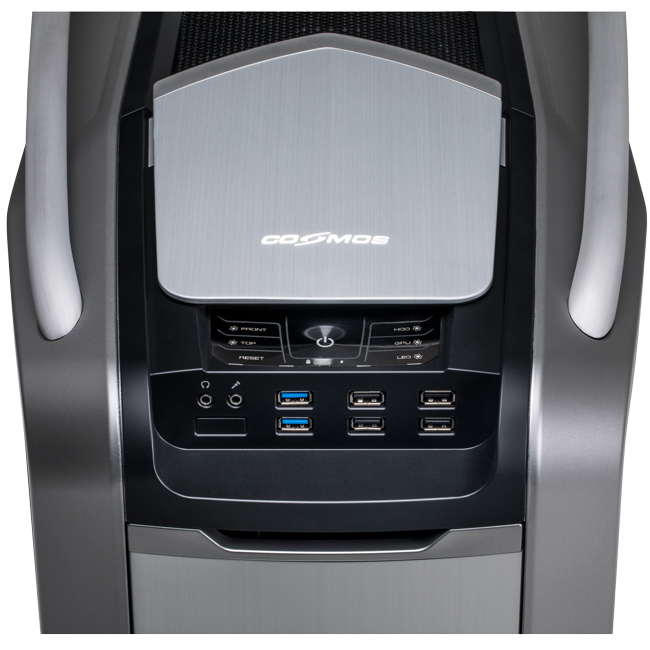 Dubbed as the Cosmos II 25th Anniversary Edition, this PC casing pays tribute to their original Cosmos II casing. 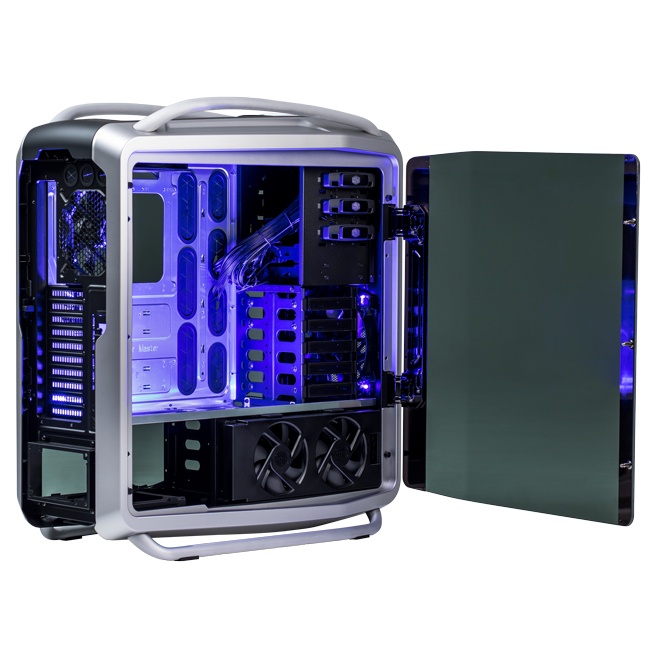 Like its base model, the Cosmos II 25th Anniversary Edition is flanked with two side panels, but it now uses curved, tinted tempered glass instead of its original aluminum panels. The panels on both sides unlock and swing open like its predecessor, similar to opening a car door. 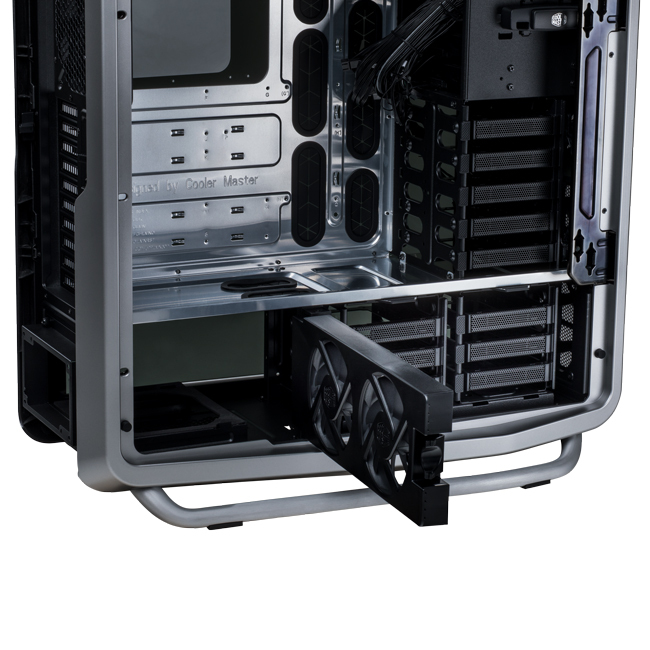 Another change is the use of aluminum for its motherboard tray and partition plate, a move that pays homage to Cooler Master’s earliest foray into aluminum cases. The casing’s frame is instead made from steel. 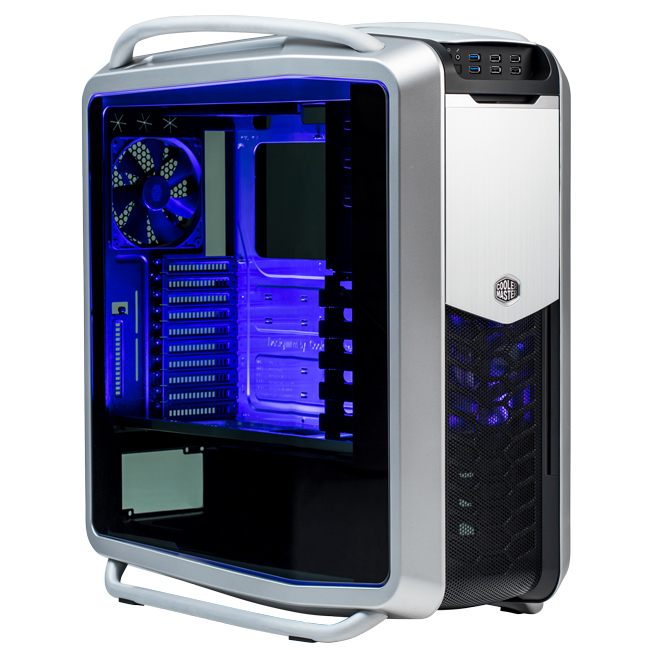 The rest of the full-tower ATX case follows its original Cosmos II design. It measures 344 x 704 x 664mm and weighs 22kg. 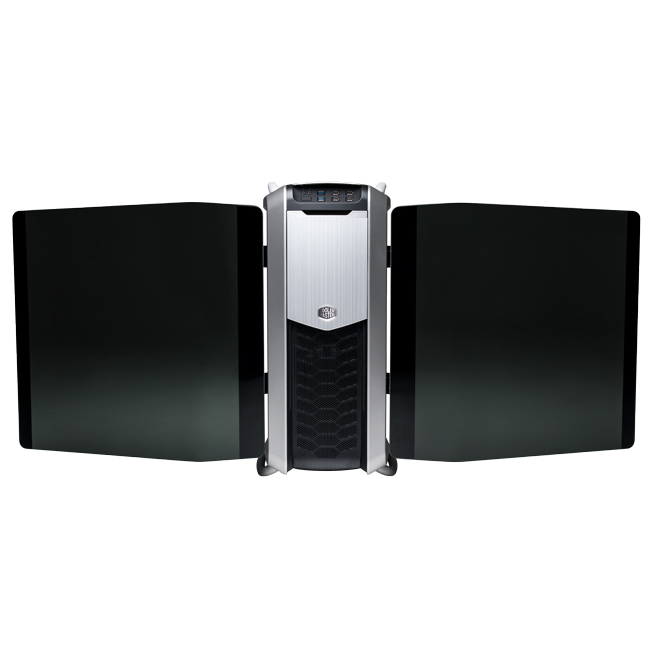 It features 13 3.5-inch drive bays, and it supports two USB 3.0 ports, four USB 2.0 ports, one e-SATA, and one Audio In & Out on its I/O panel. By default, it packs one 120mm black fan at 1,200RPM on top, one 200mm LED fan in front at 700RPM, and a 140mm fan at 1,200RPM behind, with three 120mm fans for HDDs. There's still no news as to when the Cosmos II 25th Anniversary Edition will be available in Malaysia, but check back on this page in the future, as we'll update it once we've gotten that information.